Named after Lunaria annua which is often referred to as the money-plant because its seedpods resemble coins, this Easton Farmer’s Market stand is one to check out and meet director Kristen Jas Vietty. Their website can be found here. Also check out her Luna Bus Facebook page – she is on a fascinating endeavor and posts some enchanting images! Have you stalked their Instagram account? If you are a dog lover, you need to do so stat! Homebase is a skateshop originally based in Bethlehem and now has an Easton location. If you pop-in you may have the pleasure of meeting the famous Holmes – Homebase’s unofficial mascot (#Holmes610)! Their Instagram is also a great way to view all their merchandise – it is eye candy to any local or tourist looking for some Lehigh Valley swag. 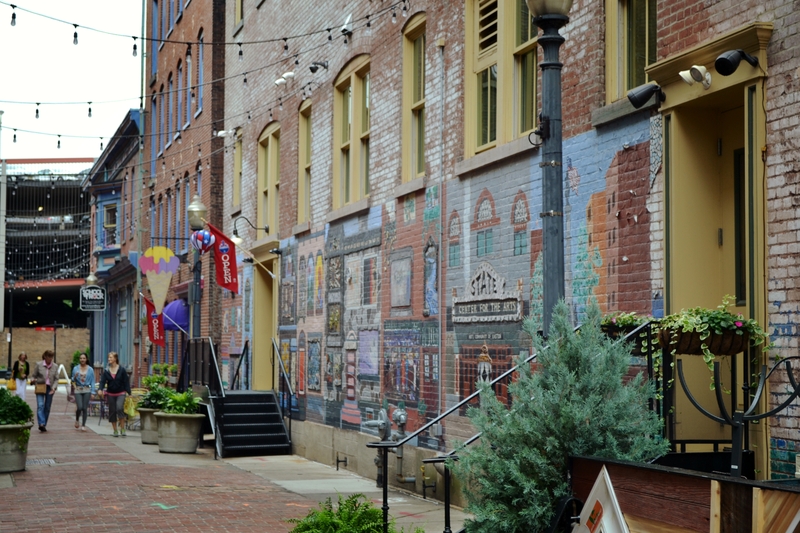 This alleyway is an explosion of mosaic art, vibrant colors, and whimsical sculptures. There is also the Bank Street Ice Creamery (try the caramel apple ice cream) to indulge in while analyzing the “No Evil” exhibit by Ellen Shaughnessy with friends. The alleyway continues across Northampton Street where it hosts “Artists in the Alley”. If you make a right at the end of this alley, there is a quaint home and garden where you will see a ton of cats leisurely soaking in the sun and a neat view of Quadrant Book Mart & Coffee House. The ambiance of Bank Street will make your creative juices flow! 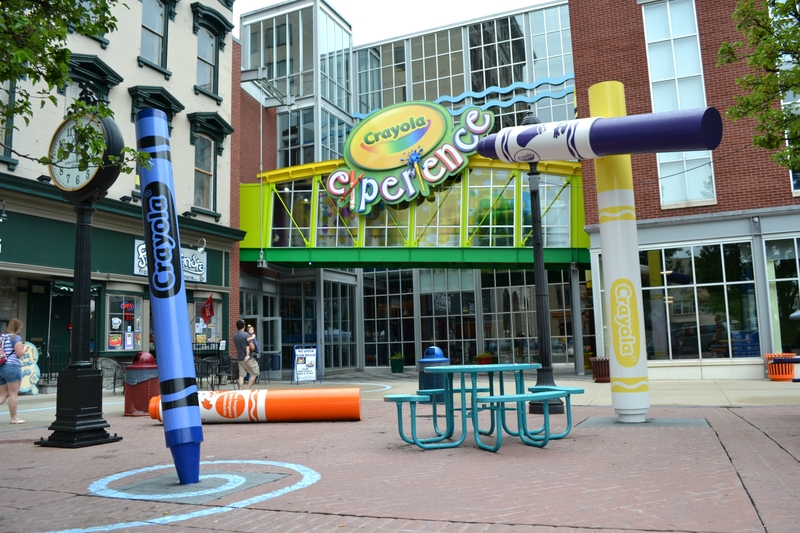 Speaking of whimsy – skipping around these parts you will see giant crayons and markers outside Crayola Experience that are great for family photos! 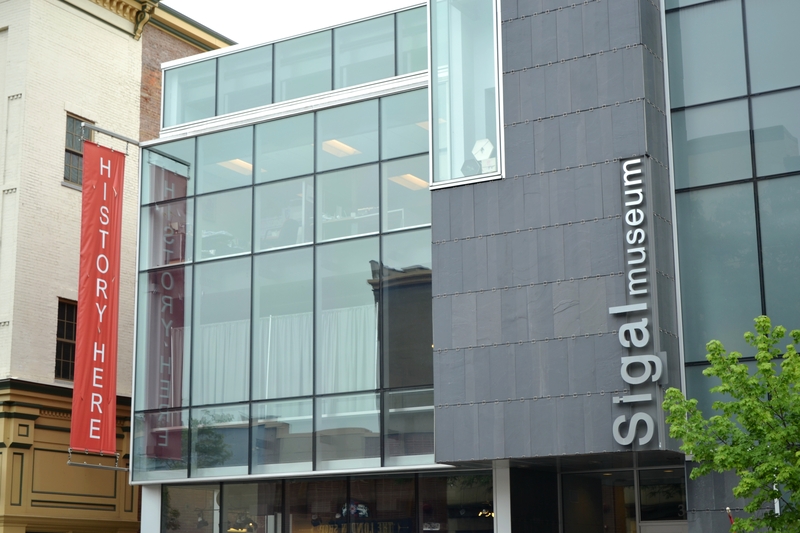 This Sigal Museum is gorgeous and worth a tour! Be sure to check out the Eras of Elegance exhibit before September 2015! Check out my guest blog post on the museum here on Discover Lehigh Valley’s Insite! All of the above are a few steps away from Easton Centre Square where the Easton Farmers’ Market is held every Saturday 9:00 am – 1:00 pm. ….and Heritage Day which is an annual event held in the Square (recently held July 12th) – pictures coming soon! 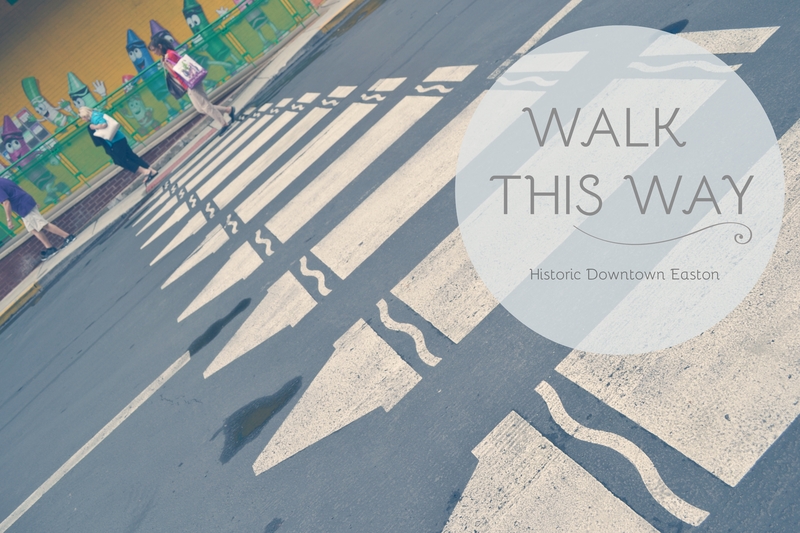 There will definitely be more posts from Easton’s Historic Downtown!